Ahmed Ismail focuses his practice on arbitration, construction and supply contracts, commercial agency agreements, marine transportation contracts, and oil and gas contracts, including drafting, reviewing and negotiation of such agreements. Ahmed Ismail has substantial experience in resolving disputes amicably, including early neutral evaluation, negotiation, conciliation and mediation. Ahmed Ismail managed to settle many disputes either before commencing an arbitration or during the arbitration proceedings. Ahmed Ismail is registered at the Cairo Regional Centre for International Commercial Arbitration (CRCICA) as an arbitrator. Apart from arbitration, Ahmed Ismail is admitted before the Court of Cassation, he represents a wide range of large companies before national courts. 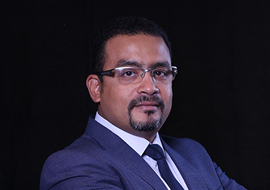 Ahmed Ismail joined Badran Law Office in 2000, becoming a partner in 2007. Prior to that, Ahmed Ismail practiced litigation in a leading law office in Egypt.